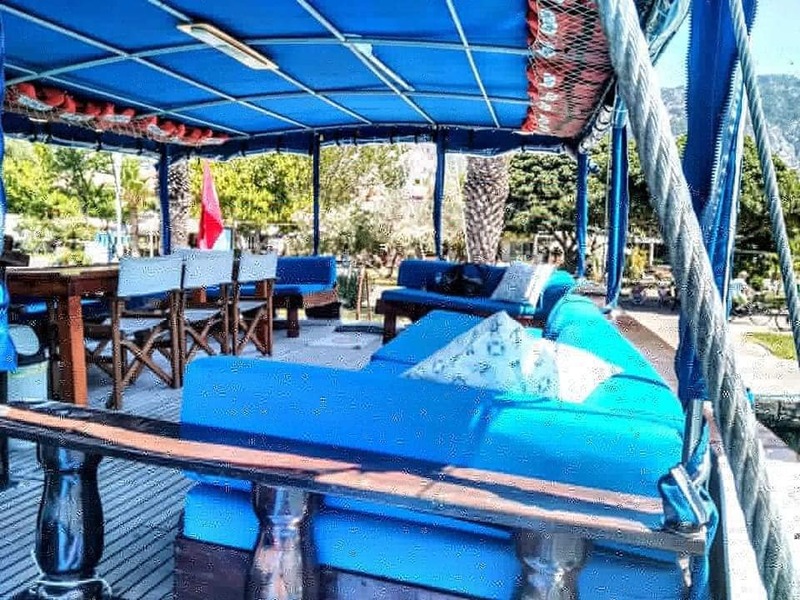 Calling all sailors! 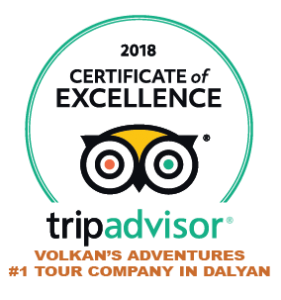 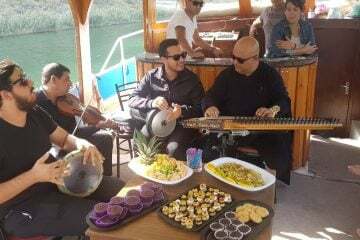 Hugely improved for the 2019 season, Volkan’s Adventures invite you to join us on our all day Song of the Seas Sailing adventure. 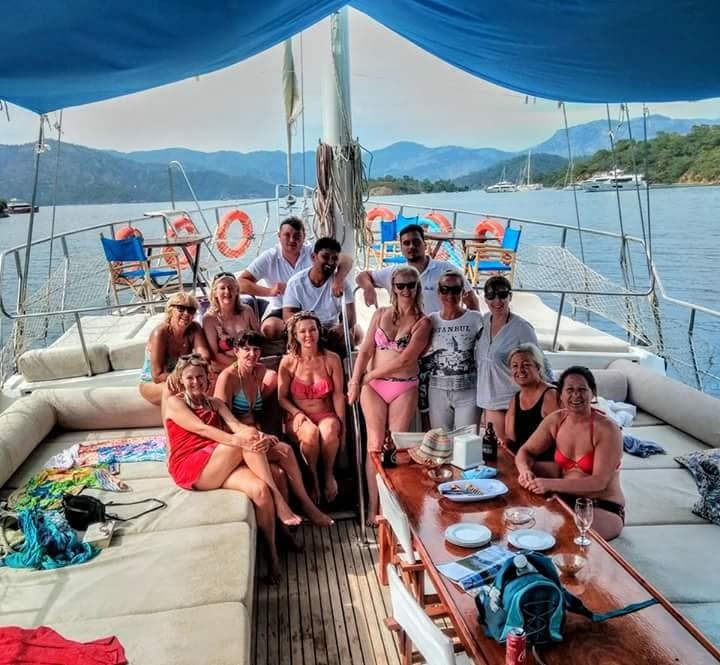 With our brand new 19 metre wooden Mediterranean gulet, we want to take you out on an all day sailing from Göcek experience you will never forget. 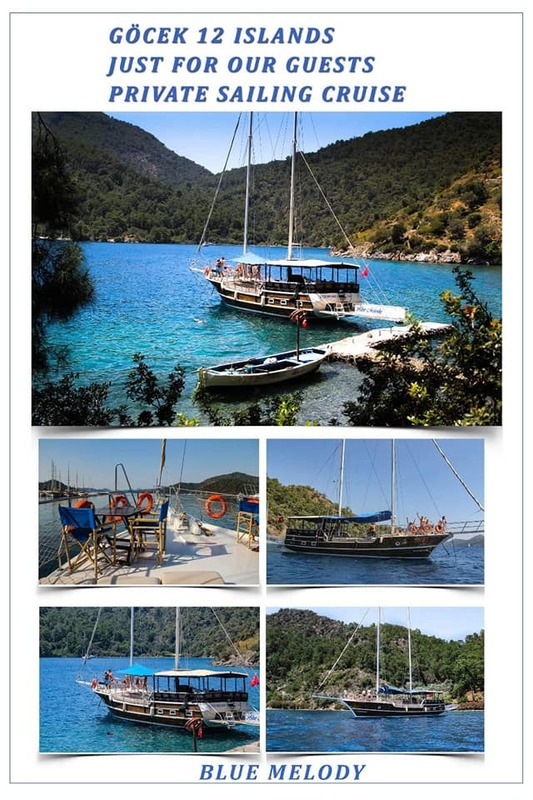 We begin our day by collecting you from your accommodation between 8.30am and 9am. 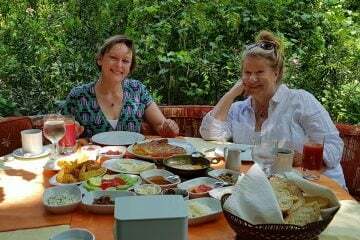 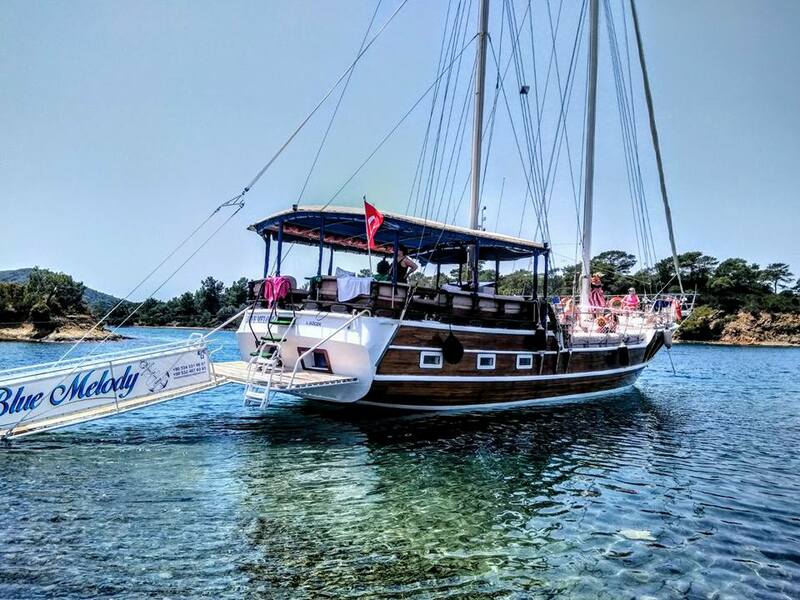 After completing the thirty minute journey to Gocek harbour in our air conditioned mini bus we will board our boat and prepare to depart for 9.30am. 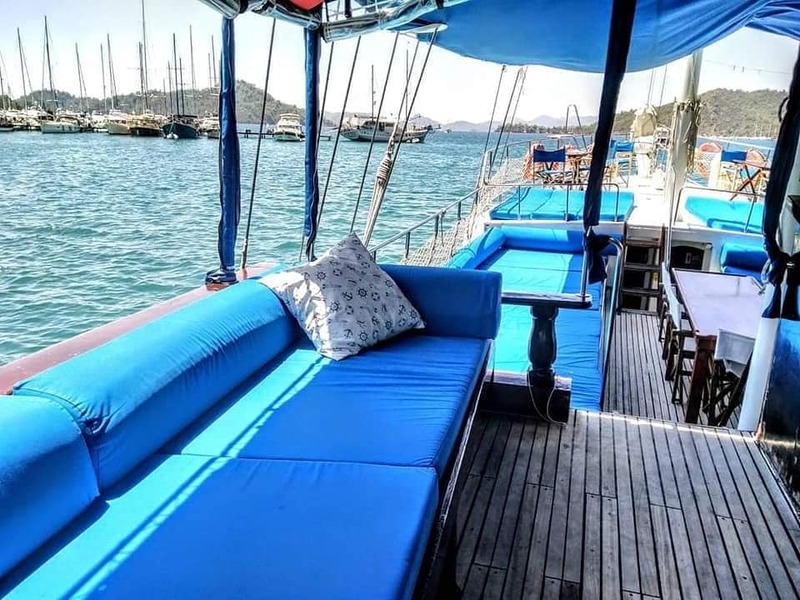 Pick your perfect spot for relaxation and marvel at the picture perfect scenery that envelops you, be it on one of our comfortable sunbeds or nestled in the lounge area at the rear of the boat. 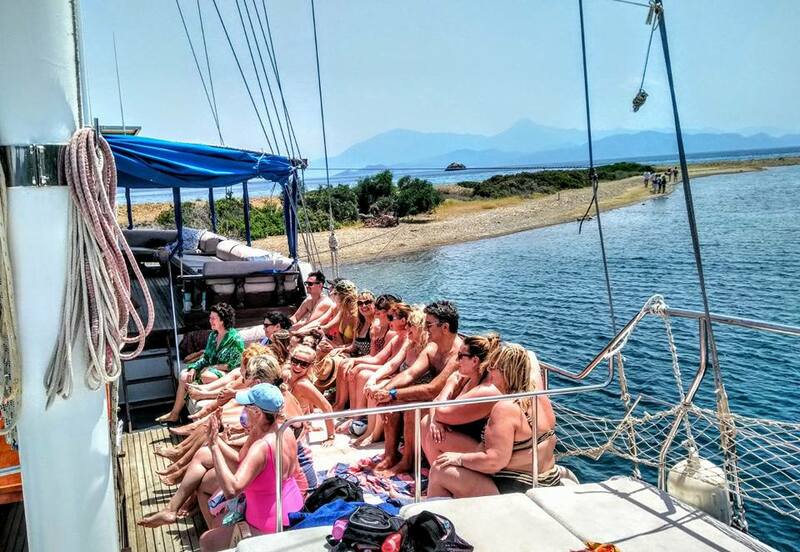 As our boat has capacity to hold 35 people but we will only ever take a maximum of 16 on any one trip, there will be more than enough space for everyone. 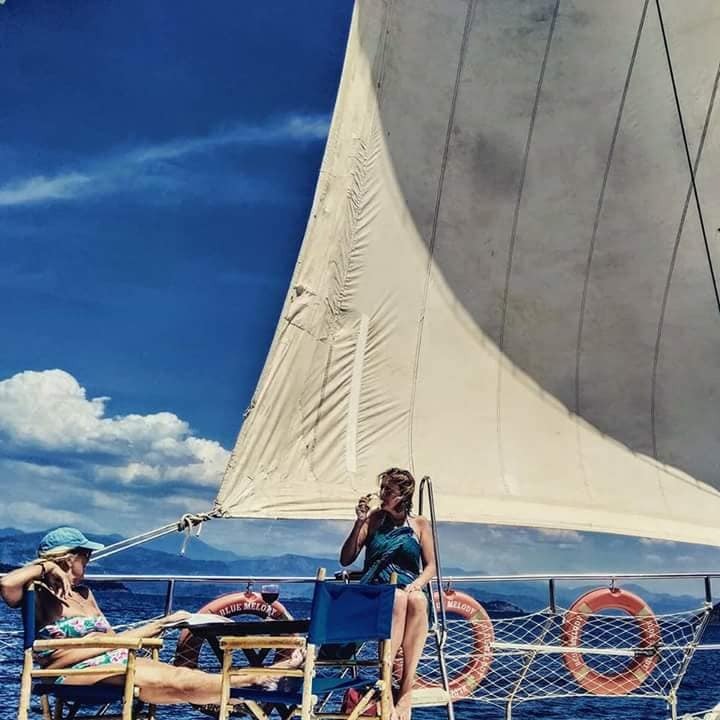 Unwind and enjoy your complimentary welcome tea or coffee whilst we lift anchor and head out to embrace the day ahead. 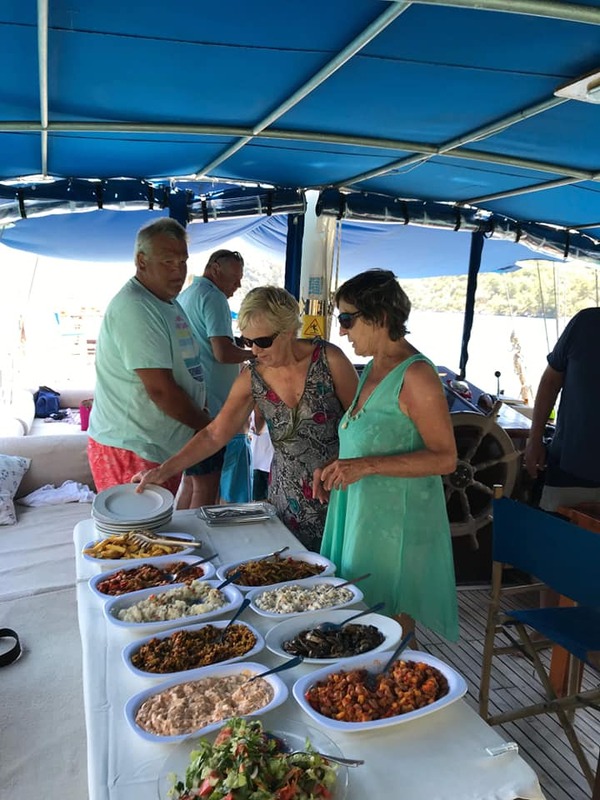 As we make our way to our first stop, treat yourselves by indulging in the freshly prepared cakes, pastries, breads, olives and cheeses that will be served. 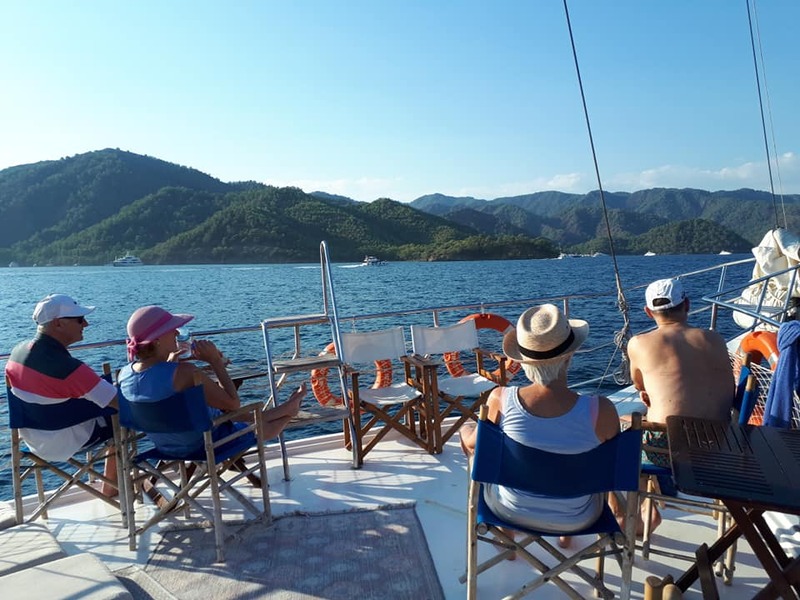 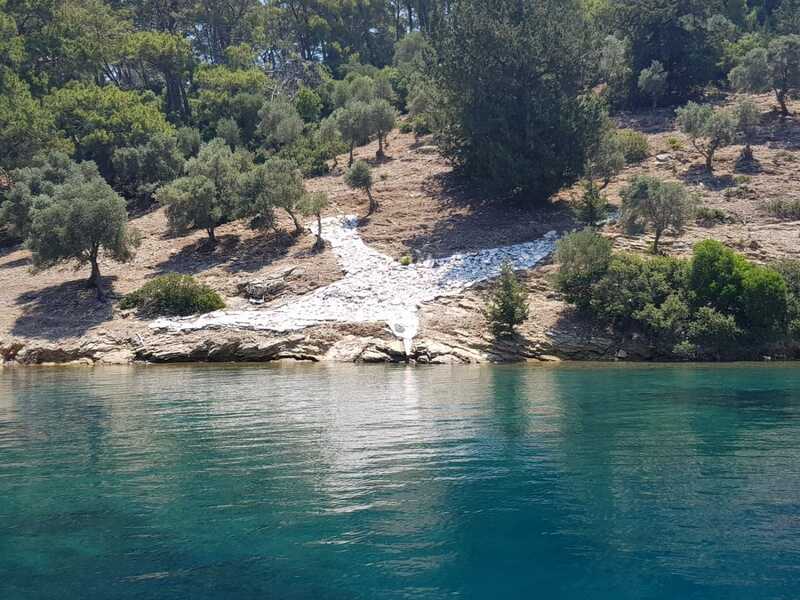 With the wind in your hair and the sun on your face, relax and languish in the joy of the moment as we make our way far out past the boundaries of the Gocek peninsula towards our first swim point which we will aim to arrive at by 10.30am. 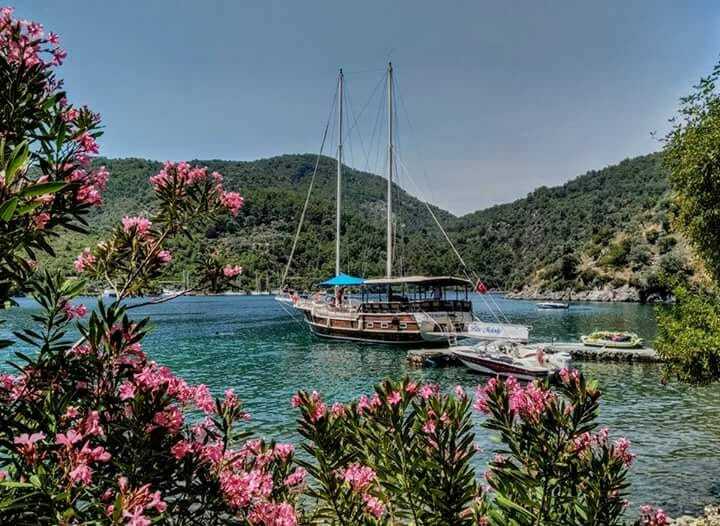 One of the furthest re-entry points of the Gocek Peninsula; Sarıhüseyin Bay is joined to the private island owned by one of the richest families in Turkey for centuries. 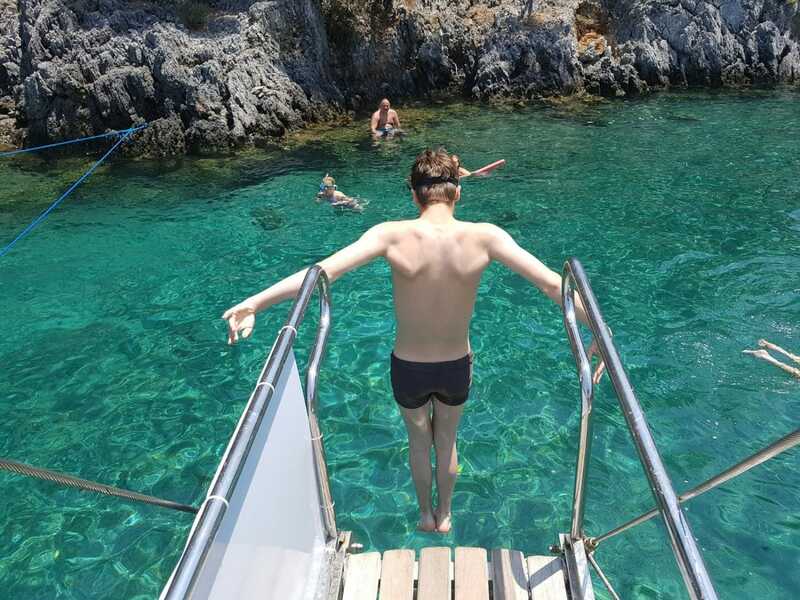 Choose your complimentary alcoholic or non alcoholic beverage to enjoy whilst languishing in the lap of luxury, although if it’s a particularly hot day the lure of a refreshing dip in the crystal clear waters may be overridingly tempting to indulge in first! 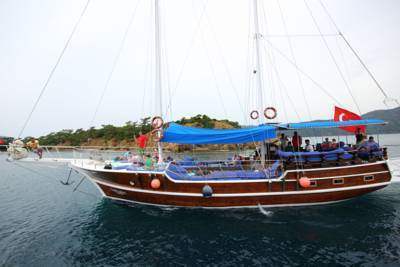 After a few hours we will head on towards our second stop, Dis Bukun bay, where will enjoy a late lunch. 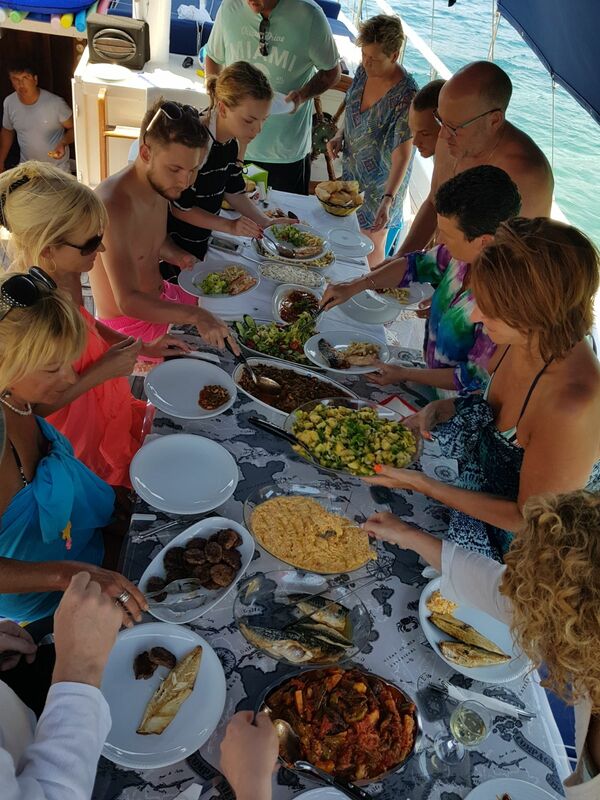 Whilst you are swimming and re-energising, the Captain will prepare a fabulous feast for you to enjoy. 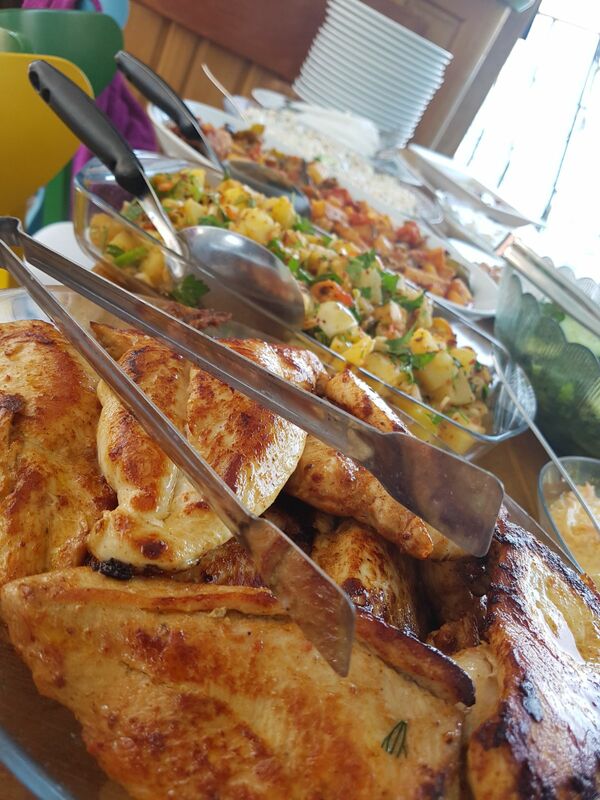 Allow us to spoil you with a mouth watering bbq mixed grill including lamb kebabs, meatballs and marinated chicken breasts, accompanied by a huge range of mezzes, salads and breads. 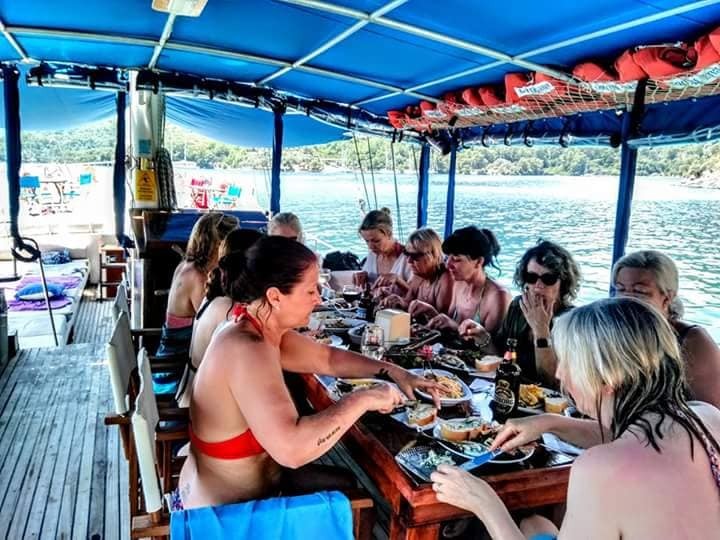 Freshly caught fish, vegetarian and vegan dishes are available if ordered at the time of booking and all dietary requirements can be catered for. 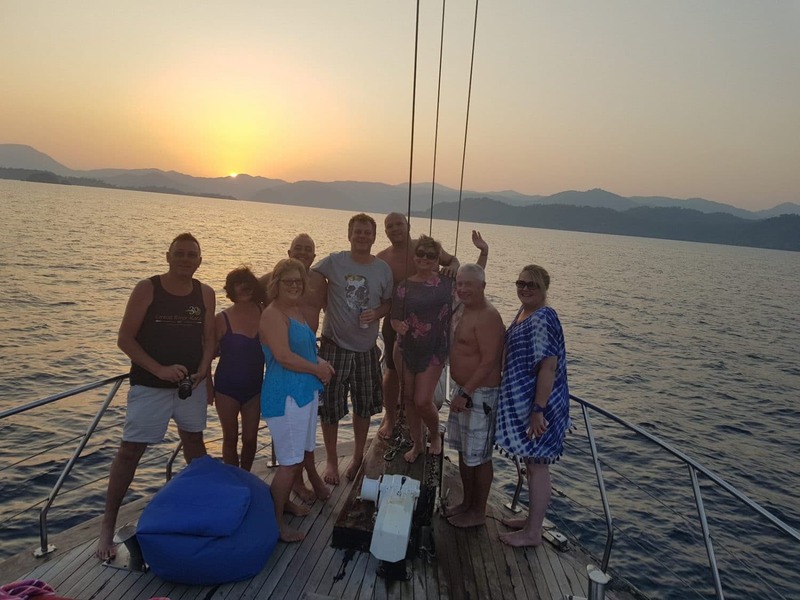 Pick the complimentary alcoholic or non alcoholic beverage of your choice to accompany your meal to make this a truly unforgettable dining experience. 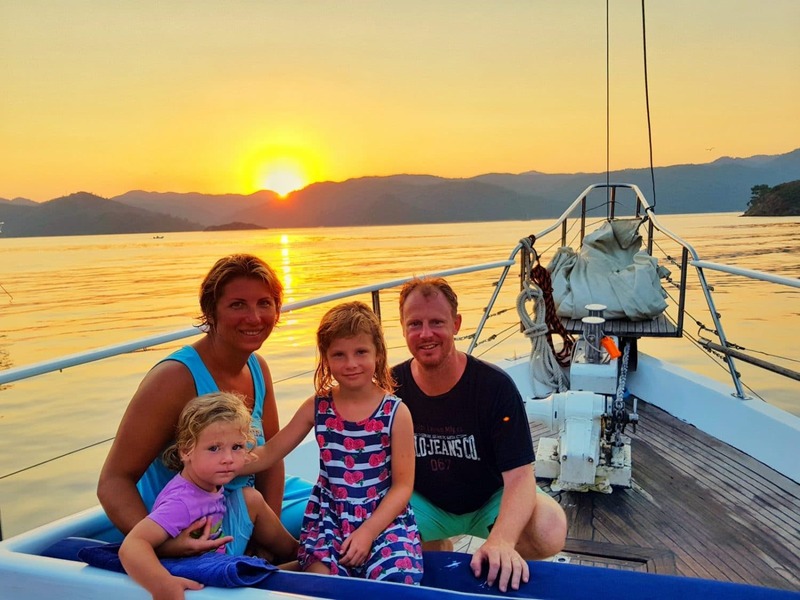 Having enjoyed our meal and feeling completely at peace, we will move onward to our next destination, Marti Bay. 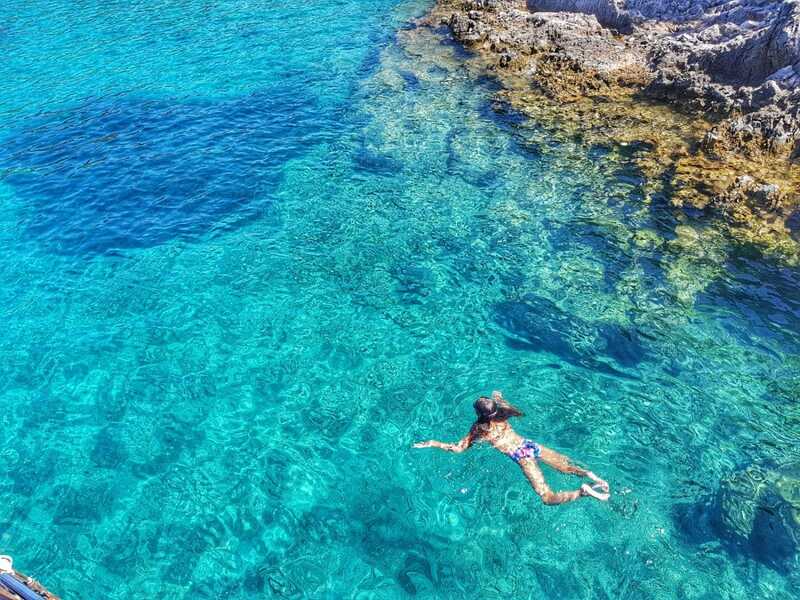 A stunning place to stop, this bay has waters of the deepest blue you can imagine, perfect for a refreshing swim. 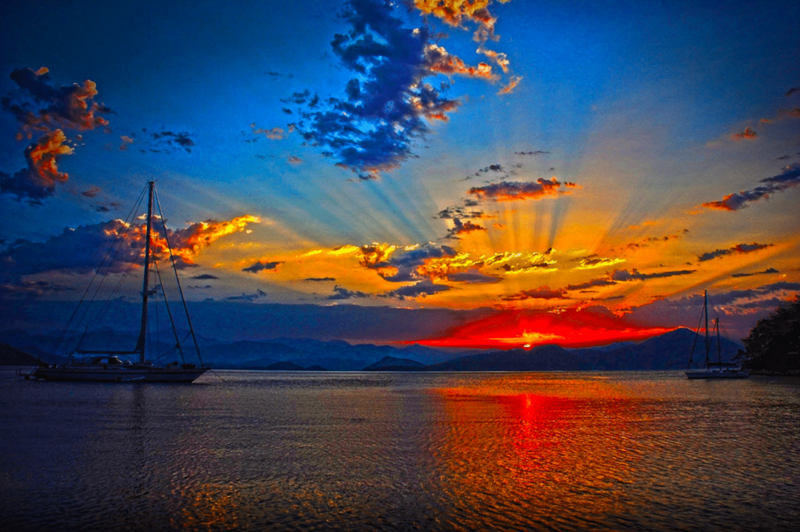 Lay back with the sun on your face and enjoy the soothing sounds of the water around you. 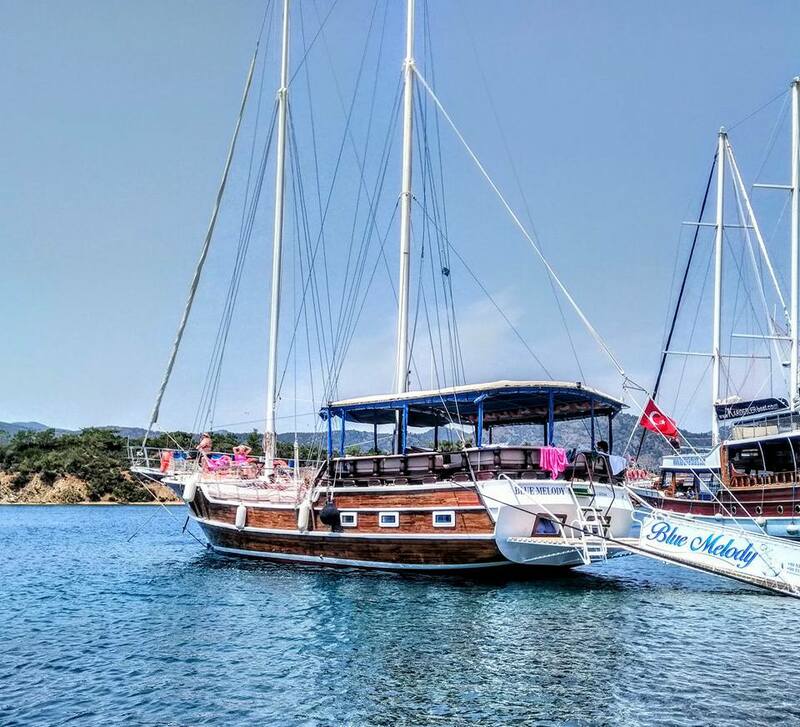 As the afternoon moves towards early evening we will open the sails and make our way in the direction of our final point of call, the stunning Yassıcalar Bay. 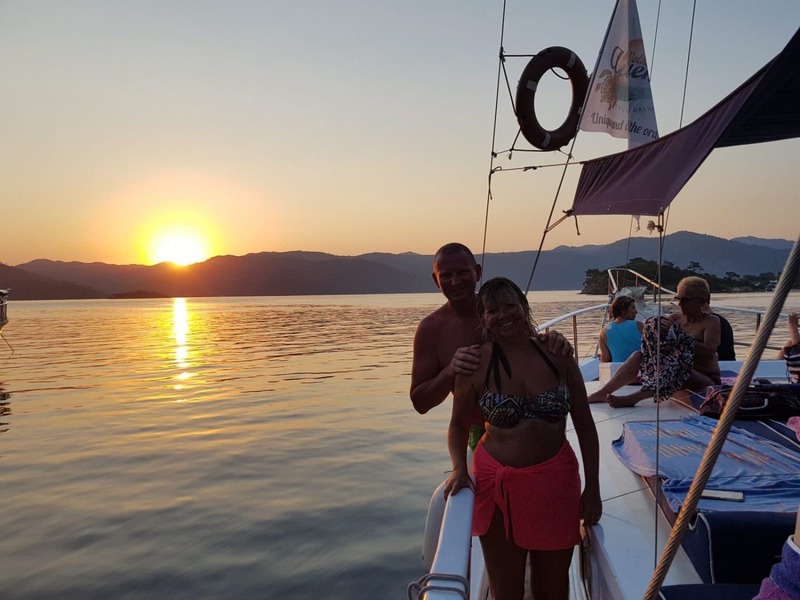 This bay is popular during the mornings with other boats so we can guarantee by visiting towards the latter part of the day that we will not be disturbed and can watch the breathtaking sunset in complete peace. 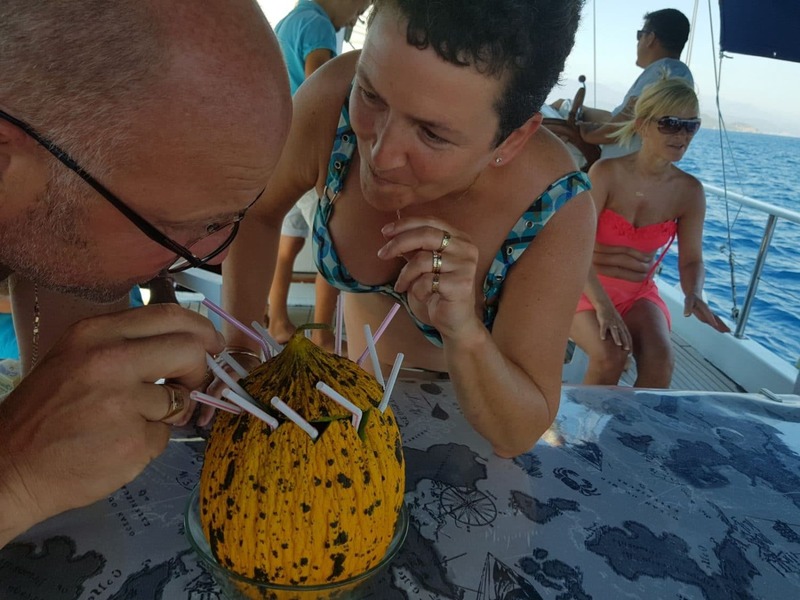 Canapes, sandwiches, fruits and cakes will be served as the sun goes down and you can toast the wonder of the day with your complimentary sunset beverage of choice. 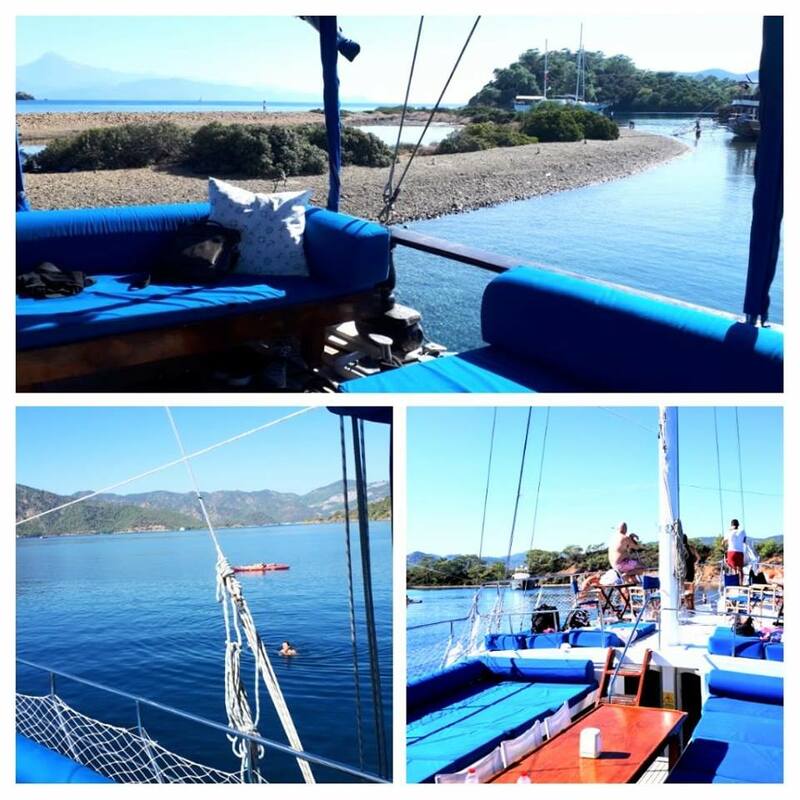 We will aim to return back to Gocek harbour for 9pm meaning arrival in Dalyan at approximately 9.30pm.